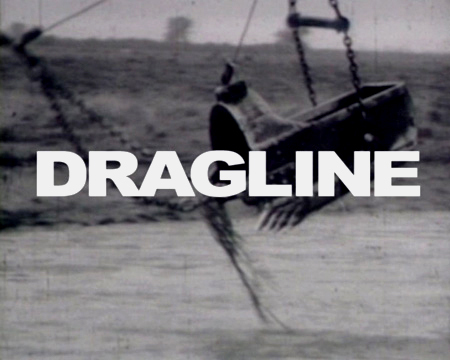 Dragline c1950 stumbles across an autonomous machine, and via 1970's structuralist film, returns the logic of digital practice - find, copy, paste, repeat - to its industrial roots. On Saturday 3rd March I visited Raven Row to see the exhibition of historic textiles collected by Seth Siegelaub over the past thirty years, for the Center for Social Research on Old Textiles (CSROT). It was a thrilling to see, and read about the history of woven, printed textiles and embroideries from fifth-century Coptic to Pre-Columbian Peruvian, late medieval Asian and Islamic textiles, and Renaissance to eighteenth-century European silks and velvets, even Barkcloth (tapa) from the Pacific region (image left: tapa from Papua New Guinea) and Africa. I will be in Plymouth to participate in the Finale Symposium for the British Art Show 7. With Tom Trevor, Director of the Arnolfini and using Self Portrait Arnolfini as our guide, we performatively inhabited 2061 and recalled from composite memeory, how we got there. With the evolution of assemblies for replication, singularity is overwritten by difference. Everything is at once singular, everything can be narrated into singularity. Yet nothing is singular, everything can be bedded down into a flow of precedents and antecedents. The singular only exist at the level of the ideology, it disappears as we advance towards it. The singular is in essence a generic artefact, assembled from the minute and relative differences from within a defined series. And this drive to replicate, image for image, object to object, sound to sound, word for word is how we make the know world; and, that world known to one another. 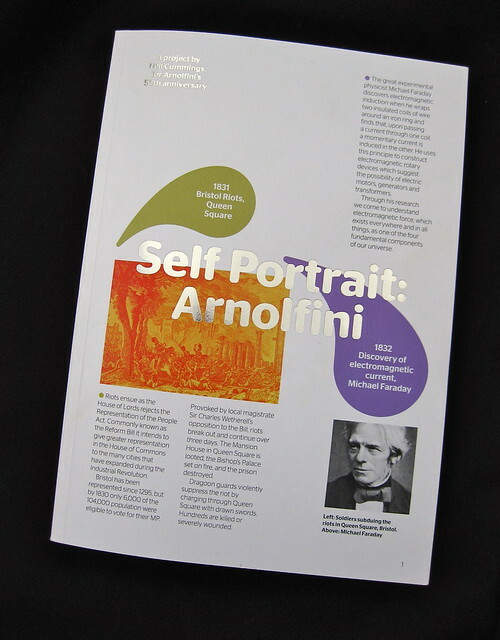 As part of Self Portrait; Arnolfini we produced a beautiful celebratory publication, designed by Stephen Coates and developed in close collaboration with archivist Julian Warren. You can view, or download a .pdf, read a data sprite snippet, or see how we developed the raw-text on this wiki. 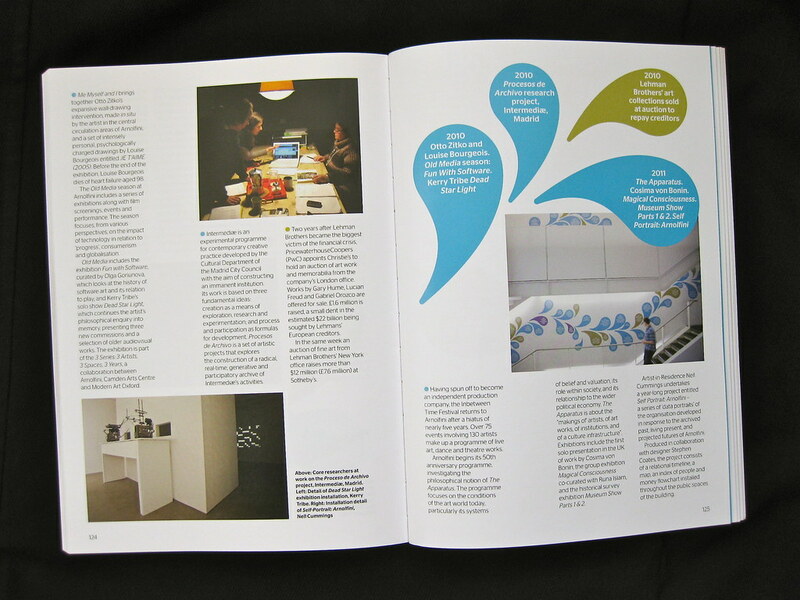 A print version is published by Arnolfini and available from Cornerhouse. Join me on Sunday 25th September between 12 - 1pm, with archivist Julian Warren and curator Nav Haq and we will walk through time on a tour of Self-Portrait: Arnolfini. The talk and tour, from 1831 to 2061, will culminating in the launch of Self-Portrait: Arnolfini the book of the project beautifully designed by Stephen Coates, especially for Arnolfini's 50th anniversary. 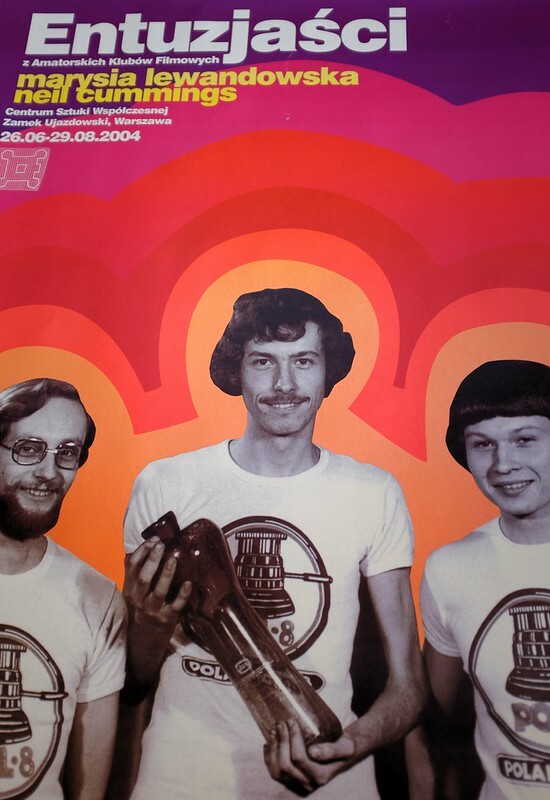 Ostalgia takes its title from the German word ostalgie, a term that emerged in the 1990s to describe a sense of longing and nostalgia for the era before the collapse of the Communist Bloc. Twenty years ago—after the fall of the Berlin Wall—from the Baltic republics to the Balkans, from Central Europe to Central Asia, entire regions and nations were reconfigured, their constitutions rewritten, their borders redrawn. Ostalgia exhibits art produced in and about some of these countries, many of which did not formally exist two decades ago. Mixing private confessions and collective traumas, the exhibition traces a psychological landscape in which individuals and entire societies negotiated new relationships to history, geography, and ideology. 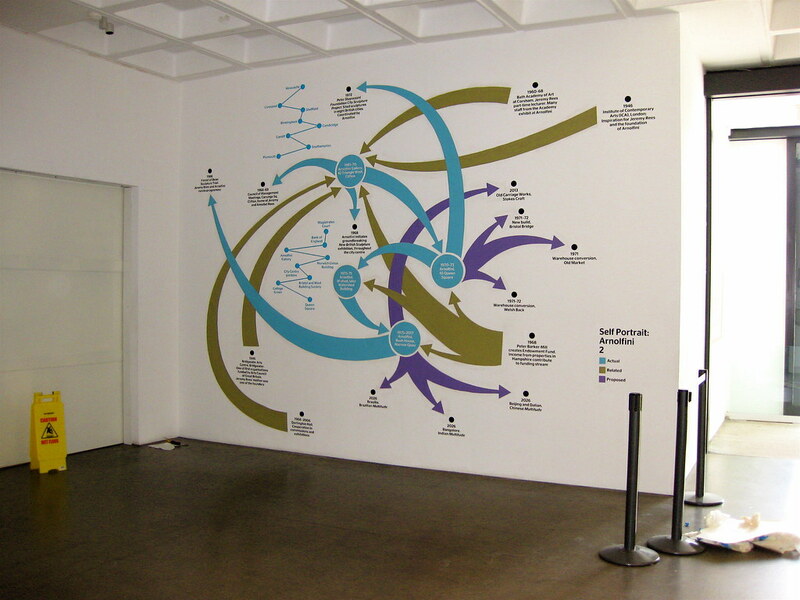 Over the course of 2011, which is the Arnolfini's 50th anniversary year I will be working to develop a series of self-portraits of the institution using information from their archive. 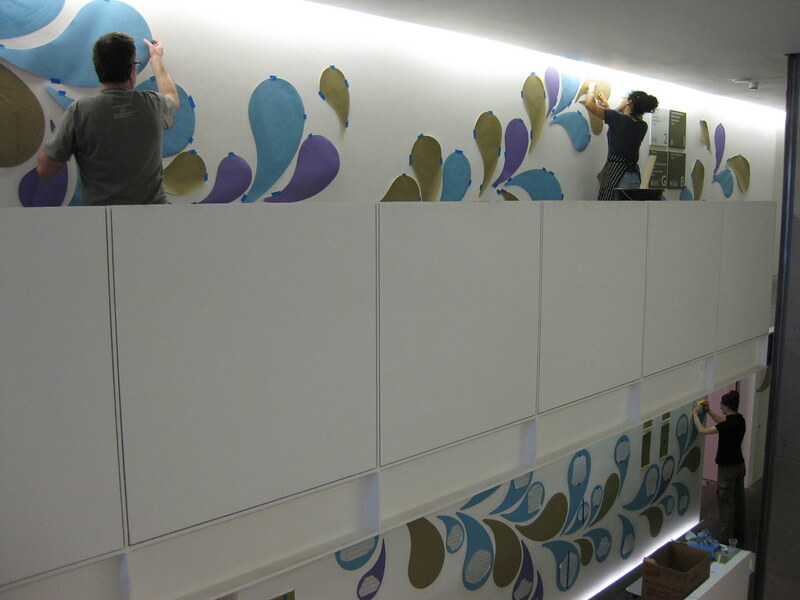 Presented throughout the building, these data portraits will expand throughout the year, tracing their histories and speculating on possible futures.